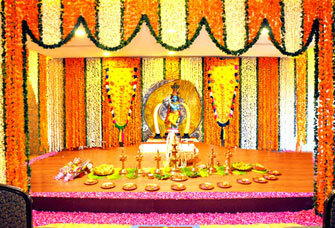 The perfect base to get a peaceful darshan and have fun with friends & family. 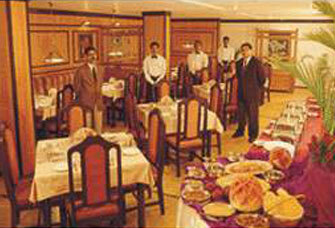 We offer authentic cuisines with real service. Our professionally qualified dedicated team is committed to ensure you can truly be yourself. 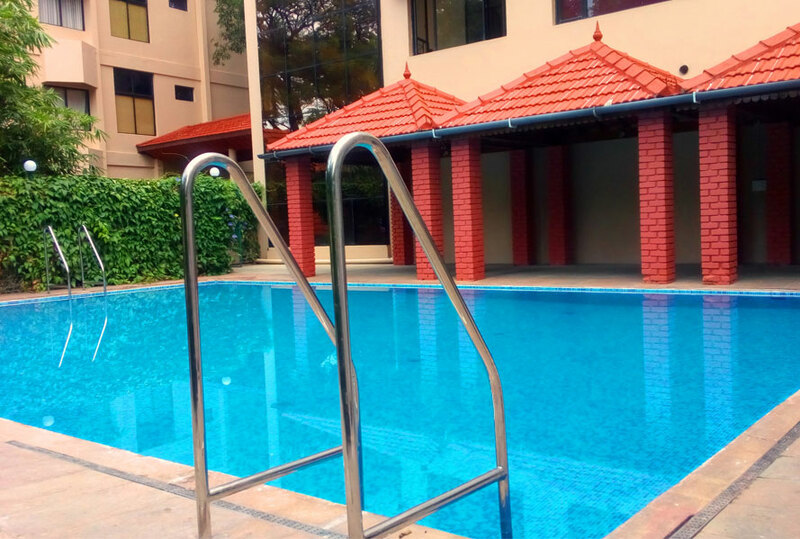 Experience the very best of the hospitality world at the spectacular Sopanam Heritage in the heart of Temple Town. 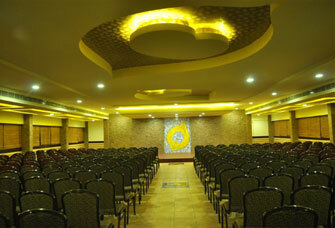 Enjoy the unparalleled tranquility and peace offered by this hotel, located in Guruvayoor. 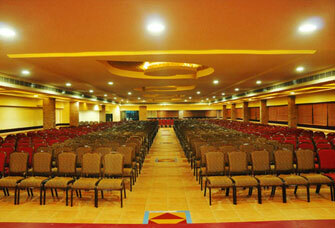 The most spacious rooms with all the modem facilities and amenities. Elegantly furnished rooms with classic upholstery, qualified staff welcoming you at the reception and best of all, a service with a smile. 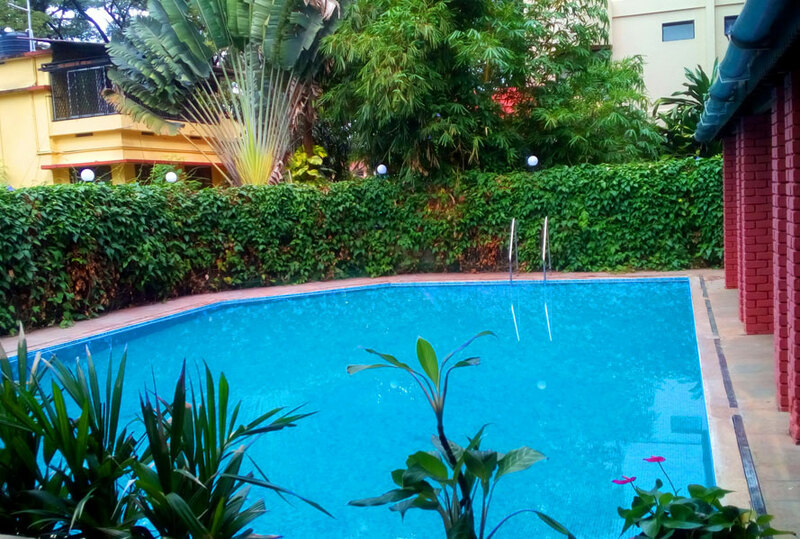 It is an experience in itself to stay at the SOPANAM HERITAGE. 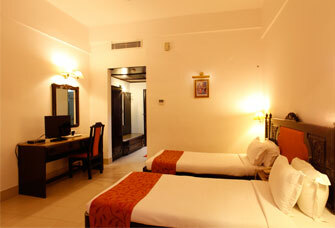 Well appointed rooms, centrally air conditioned with all modern amenities. 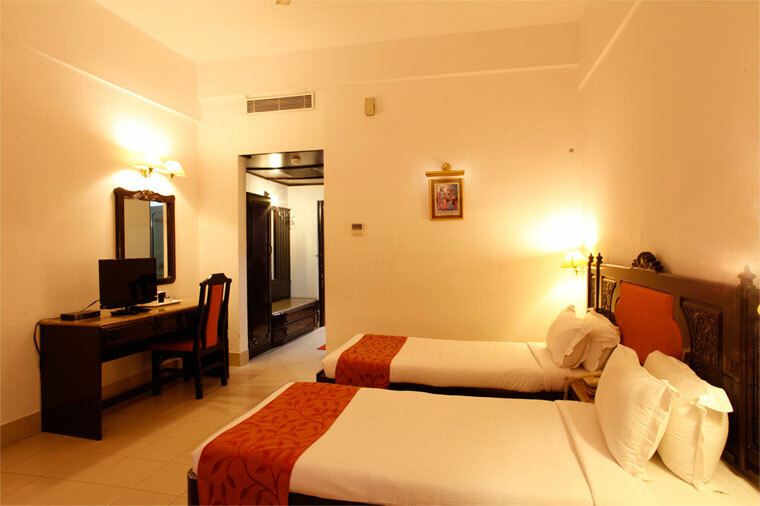 All rooms have individual temp. control switch. Direct dialing , colour televisions with local and international satellite channel facilities are available. 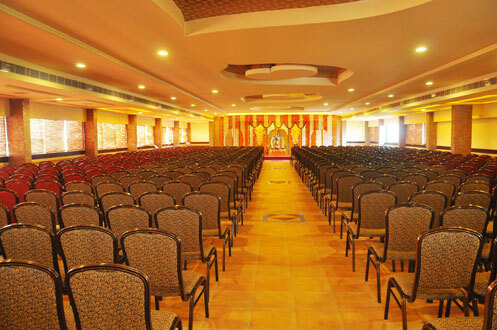 Our Banquets/Marriage Hall reflect an understanding of space and attention which is so important in today's business world. 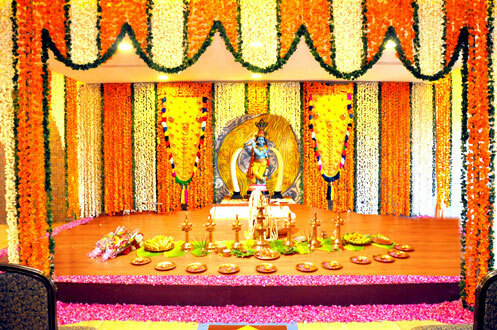 Whether it be gathering, a ceremony, or a celebration, our staff have been trained to cater to your requirement without any delay. 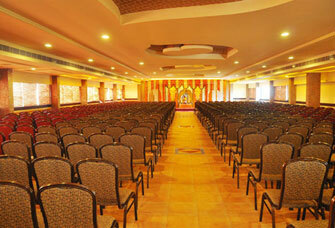 The well furnished A/C hall can accommodate any kind of get-togethers and marriages upto 1000 pax. With a separate dining place it will be the ultimate facility. 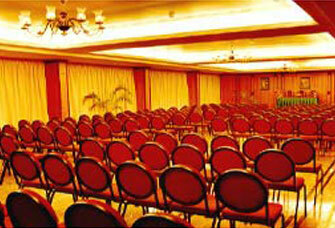 We specialize in large get-togethers and can give you the best in the hospitality market in this region. A comfortable place for the corporate, as well as medical companies', social get-togethers and for major offices who believe in the real meaning of banqueting and want both food and service to be of class. Here we treat you as GOD not just as guests. The 2 Conference halls can seat 25 to 250 pax theatre style. 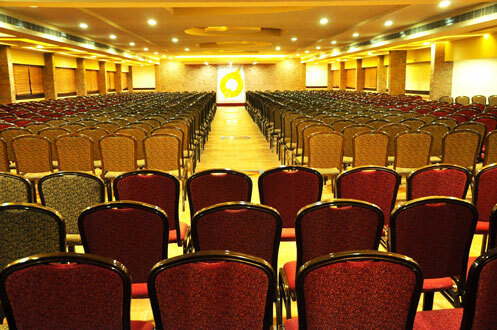 Our Conference facilities reflect an understanding of space and attention to facilities which is so important in today's business world. 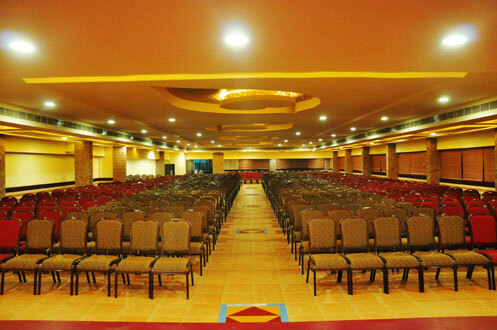 Whether it be a meeting for two or a conference for three hundred our staff have been trained to cater to your requirement. 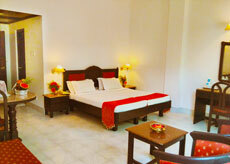 The Mini suite room will accommodate easily upto 10 to 15 pax. The best reason for dinning at the Rasoi is its cuisine which is unrestricted by the boundaries and incorporates a fusion of diverse tastes and cultures. Fresh ingredients and herbs mix and match to give familiar dishes, new and exciting flavors presented in an exceptionally creative way. 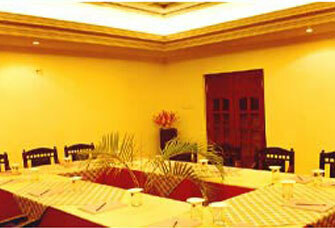 A journey into the menu unveils such delectable culinary gems. ROUND-THE-CLOCK HOT AND COLD WATER FACILITY. Copyright © 2015, www.sopanamguruvayoor.com. All Rights Reserved.